Winter. The season of snow, icy wind, and the nights that never seem to end. The temptation just to hibernate until you don't have to wear eight layers just to pop to the shop is strong! 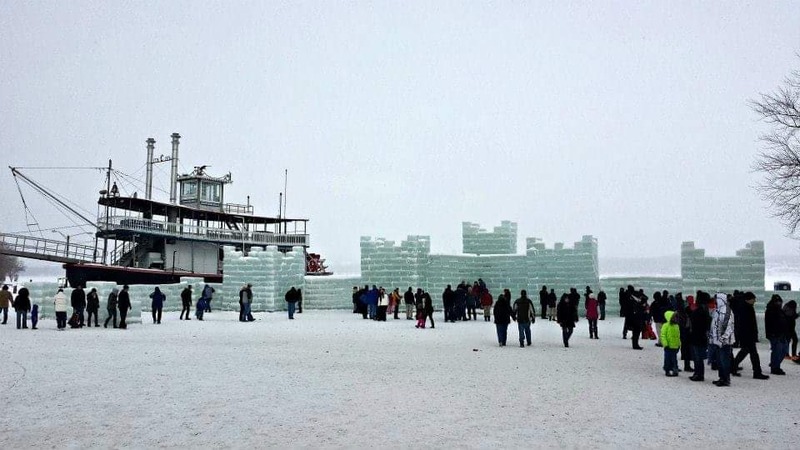 If you are anything like me, winter really tends to get you down. I definitely have a noticeable drop in energy and in my mood, and the things that used to come fairly easily just seem like an absolute chore. But this year I've been making efforts to ease the slump - I've been forming healthy winter habits that boost my wellbeing! I know it's February, but we've still got a long way to go before winter is properly over, so I wanted to share my tips for coping with everything these cold months bring. No matter how I have received a product, whether it has been purchased with my own money, gifted by a brand, been subsidized by a brand, won, gifted by friends/family, or purchased with a gift voucher, my approach is always the same -- honesty, integrity, and highlighting both the good and the bad. You can find more information on Disclosures and Privacy here. The winter season is probably the hardest on the body, so be sure to keep yourself fighting fit and your energy high by adding vitamins into your daily routine if and when necessary. Some of the most important ones to keep an eye on are Vitamin D, C, A, and E, as low levels can open you up to a whole host of problems. Vitamins C, D, A, and E are essential for keeping all those nasty bugs and infections at bay and maintaining a strong immune system, so be sure you keep a balanced diet and pick up a supplement if you know you struggle to get your daily dose! 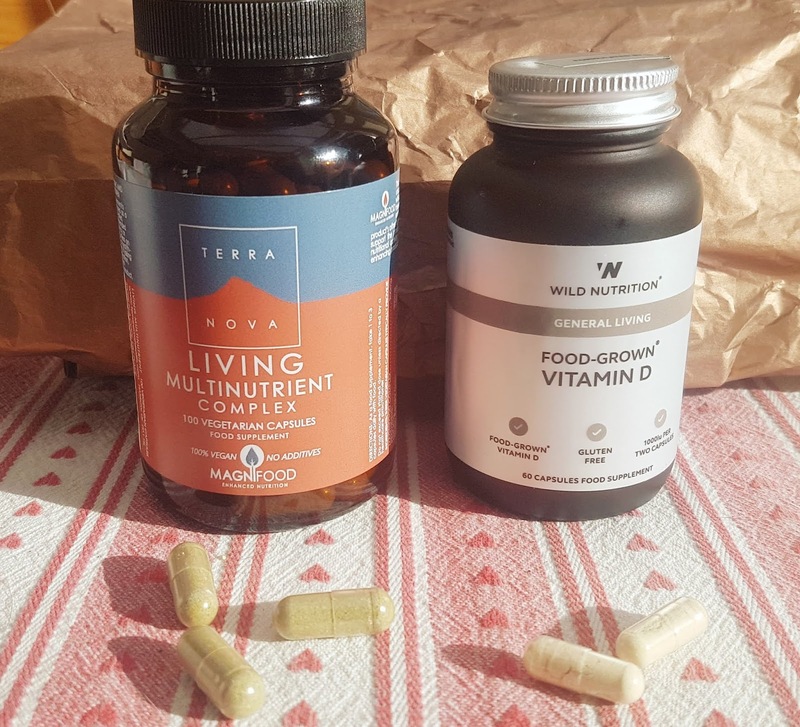 For Vitamin D, I have been loving Wild Nutrition which offer a 100% plastic free, gluten free, and vegan friendly option that doesn't cost a fortune. The capsules are easy to take and do not have any unpleasant taste since they are contained within a vegetable cellulose shell (which dissolves once you've ingested it!). You just take two a day and you get that much needed boost! Or, if you are looking for an all-in-one solution for winter, Terra Nova have a vegan friendly Living MultiNutrient Complex in their range which contains a whole host of goodies. These little capsules contain Vitamin A, C, B1, B2, B12 D3, E, and K1, plus zinc, folate, iron, manganese, and more. Plus, they are full of superfoods like acai berry, kale, and pomegranate seed! The powder is contained within a vegetable cellulose shell much like the Wild Nutrition supplements, but have an almost berry-like scent to them which is really lovely. I never used to be interested in supplements, as I thought I could get everything I needed from eating healthy. But guess what - I was kind of wrong. Since I don't like to eat meat or dairy, I suffered from continuous fatigue, and eventually was diagnosed as severely anemic. Once I saw the difference my daily iron tablets could make, I realized that supplements are a sign of failure -- they are a simple switch that can really benefit your health! And since introducing various alternative sources of vitamins and minerals into my diet, especially come winter, I have noticed increased energy levels, a more stable mood, and fewer instances of me catching a cold or sore throat. Okay, easier said than done, right? Well, not exactly! I know I already mentioned the importance of maintaining healthy levels of Vitamin D, but did you know that just basking in light can raise your energy levels and benefit your mental health? According to Healthline, "Sunlight and darkness trigger the release of hormones in your brain. Exposure to sunlight is thought to increase the brain’s release of a hormone called serotonin. Serotonin is associated with boosting mood and helping a person feel calm and focused." Not only that, but a dip in exposure to sunlight can lead to an increased risk of depression. On top of the benefits for mental health and healthy sleep patterns, sunshine works to keep your immune system strong, reinforce bone health, and prevent diabetes, high blood pressure, and even cancer! With as little as 10-15 minutes of safe exposure (don't forget the sun cream, even in winter! ), you are doing your body so much good. If you live in a place where the sunshine never seems to stay during the dark winter days, don't fret. You can actually trick your body into thinking it has caught some much needed sun rays by using a special machine called a light therapy lamp. Basically, the lamp emits a light that mimics the real deal, and the person using it can gain a lot of the same advantages. These are especially effective for those who suffer with SAD, as regular use of the artificial light can ease symptoms. It is thought that light therapy lamps can affect brain chemicals that influence both sleep and your mood, and I've got to say that anything that helps make the winter less depressing is worth a try! I know many take issue with the idea of a beauty routine being selfcare, but there is some truth in that saying "if you look good, you feel good" -- when we take time to pamper ourselves and to focus on selfcare, even if it is just for a short amount of time, we feel better. Not only that, but regular skincare routines help keep the skin fresh, radiant, and nourished. If all else fails, just opt for a daily moisture treatment and a weekly body scrub -- since winter air is cold and dry, the skin is at a greater risk of dehydration. And no one wants cracked, chapped, or flaky skin! A regular routine will improve the skin's elasticity, can reduce the appearance of fine lines and scars, maintain a natural glow, and promote healthy cell renewal. Best thing? It doesn't take long! Lately I have been using a selection from Magical Tree (‡), a Wales based cruelty free, vegan friendly, all natural beauty brand that specialize in green products that nourish the skin and improve wellbeing through 100% pure natural oils. 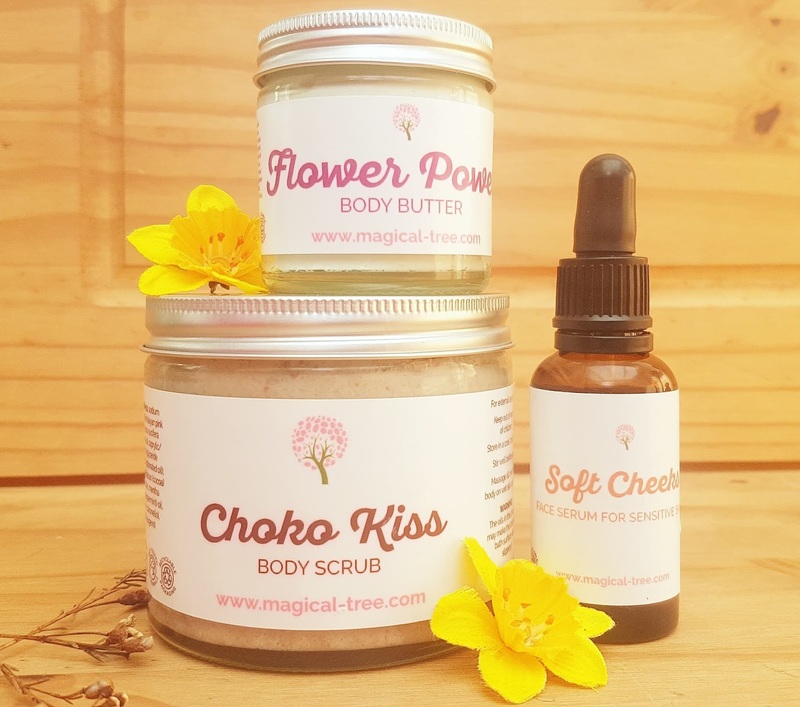 I picked up a pot of their Choko Kiss Body Scrub and Flower Power Body Butter, and a bottle of the Soft Cheeks Face Serum for Sensitive Skin, and my skin is definitely thanking me for all the super nourishing ingredients! 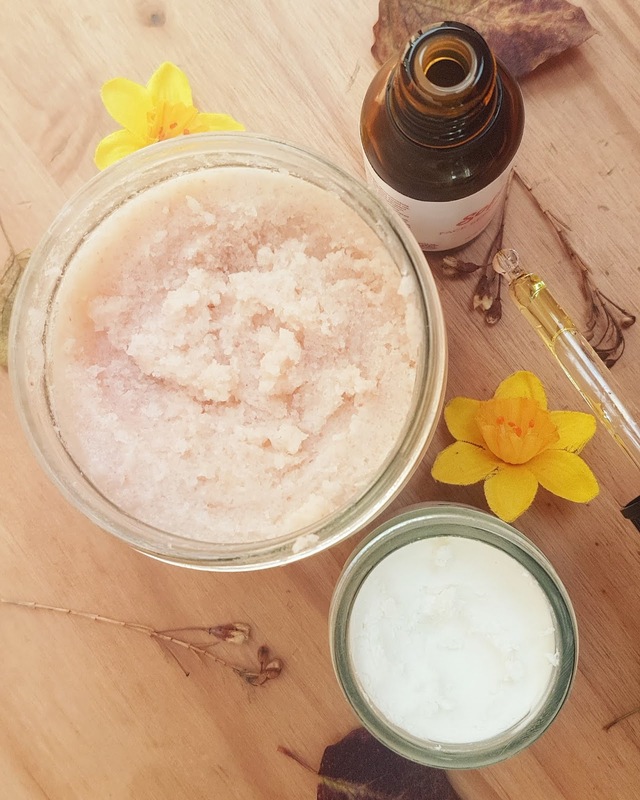 You may remember I reviewed Magical Tree's body scrub when it first launched, so you already know I adore the gentle but scrubby grain of the exfoliant and how effectively it buffs the top layer of skin. Choko Kiss is a blend of rich cocoa and fresh peppermint, and it smells like an After Eight! I can't help but feel happier when using this, as it reminds me of everything good that is associated with the Christmas period. The formula is so pure (just five ingredients! 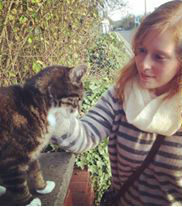 ), and is invigorating as well as heartwarming. 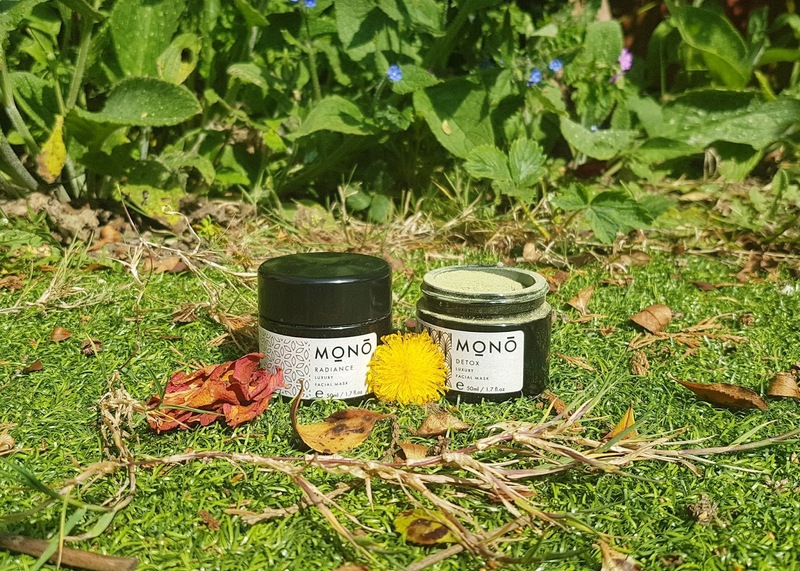 If you struggle to wake up in the morning, this body scrub is definitely for you as "the herby and refreshing scent of peppermint essential oil mixed with fine Himalayan salt may help you to reduce tiredness and get an extra boost for the hours ahead." The body scrub does a great job moisturizing the skin as well as renewing it, and the mix of coconut oil and cocoa seed butter leaves you feeling silky soft and smooth. On the days where I have not done a full scrub with Magical Tree's product, I reach for their Flower Power Body Butter to give my skin the nourishment it needs during the dry winter days. "Use it on your hands if you are having a stressful time or if you feel low and bring a happy flowery mood into your day. Melt a small amount of butter between your palms and massage it from your upper chest towards your neck for a nice and scented neckline. Or massage the tummy area with the body butter on those days of the month." I loved the Flower Power scrub, so I knew I would adore this formula just as much -- and I was right! Calming yet uplifting, feminine and strong, this aroma brings up memories of summer which is just what I need during the darkest days of the year. It is like a constant reminder that the warmth will come again soon, and that even if I am feeling stressed out or upset that things will get sunnier. And I can't forget the face for my skincare routine -- the Soft Cheeks serum from Magical Tree is ideal for those with more sensitive skin, and it is the perfect conclusion to my nightly ritual. Filled with soothing lavender and chamomile as well as uplifting neroli, I find this perfect for evenings as it eases all tension and doubles as a sleep aid. The oils are incredibly hydrating, and I love how soft and smooth my face feels after applying! Normally I worry about my face breaking out after introducing a new product, but I had no issues here. If anything, my skin looked more toned and radiant. This is truly a potent product, as I never feel the need to add further moisturizers or creams, so it saves me time and money! I've loved how my skin looks and feels since introducing Magical Tree's scrub, butter, and serum into my beauty regime, and I have to say I've been so impressed by how perfectly balanced the fragrances are in each product. Everything works to address both general wellbeing and the health of the skin, and I can't recommend them strongly enough! And not just botanicals, but herbs, spices, florals... Aromatherapy can be a massive benefit year-round, but turning to the power of essential oils in winter especially can be a huge help to your mood and to your health. Remember all the benefits related to the aromas in each Magical Tree product? Each worked to lift my spirits, lighten my mental load, and increase feelings of positivity, and that is the magic of targeted fragrances! But essential oils can also support the immune system, help clear the sinuses, and bring antiseptic and antimicrobial properties that help fight sickness. Some scent families I like to utilize for my wellebeing in winter are citrus and mint. Zesty and zingy aromas are incredibly beneficial for boosting mood and re-energizing the spirit, and minty fragrances like peppermint and eucalyptus help decongest breathing during cold and flu season and is also stimulating to the senses. I also love things like lavender and chamomile during the colder months, as they help keep me relaxed and keep my anxieties at bay. In terms of aromatherapy treatments, I have been loving Petits Rituels Orange Gourmande Candle, Made By Coopers Atmosphere Mist, and Nature's Wish Joy Energy Spray. The Nature's Wish blend in particular has been a wonderful find, as it elicits such positive feelings. 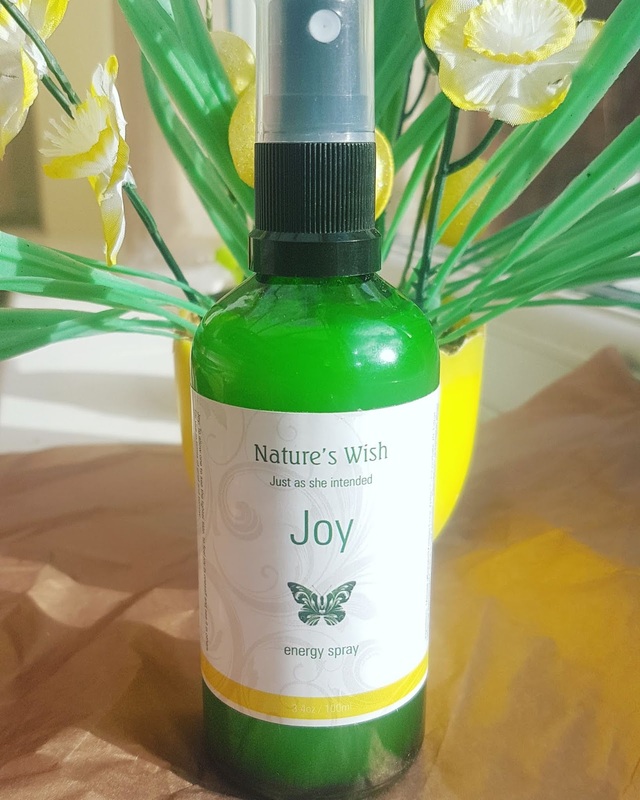 The formula contains the usual essential oils you would expect to find in a room spray, but also includes floral waters and "flower, crystal and environmental essences to cleanse and revitalise your natural energy field." I have never encountered anything quite like Nature's Wish, and I find it incredibly restoring and healing for the mind. I can sense the negativity melt away after breathing in "Joy," and I love that I have found something that actually helps when I'm feeling at my lowest. Do you have any products that work so effectively? I also enjoy blending my own essential oils in my Tisserand AromaSpa Diffuser, as then I can switch things up based on what I need at any given time. My diffuser definitely goes into overdrive during winter, especially if one of us is poorly and under the weather. Just ten minutes breathing in the diffused essential oils works magic. Seriously, have you tried it?? But the absolute best thing about aromatherapy is that no matter what option I go for, I reap the benefits of pure plant power! 5] Get up and go! As hard as it sounds, get up out of bed and do some sort of simple exercise. Light stretches or yoga are perfect for morning, especially when paired with a brisk walk around the neighborhood before or after lunch. Keeping your body up and moving through the winter months is crucial for keeping both your mind and body healthy. Did you know that regular exercise boosts the immune system? Or that when you get your blood pumping the cells responsible for attacking infections can work more efficiently?? What about the fact that exercise leads to dramatic drops in fatigue? Honestly, I didn't know any of this either. I tend to get extra lethargic in winter, and it turns out a big part of that reason is because I let my routines slip. So reintroducing a workout, even a brief one, has done me a ton of good! Not a gym type of person? Me neither, which is why I follow Yoga By Adrienne on YouTube instead. She gives really easy to follow instructions, and has a huge amount of routines you can choose from, ranging from beginner to expert. If I am feeling sore while doing my PhD work, I take a ten minute break to do a quick session, and just that short sesh eases my discomfort, energizes me, and releases serotonin that picks me up and gives me that boost I need. 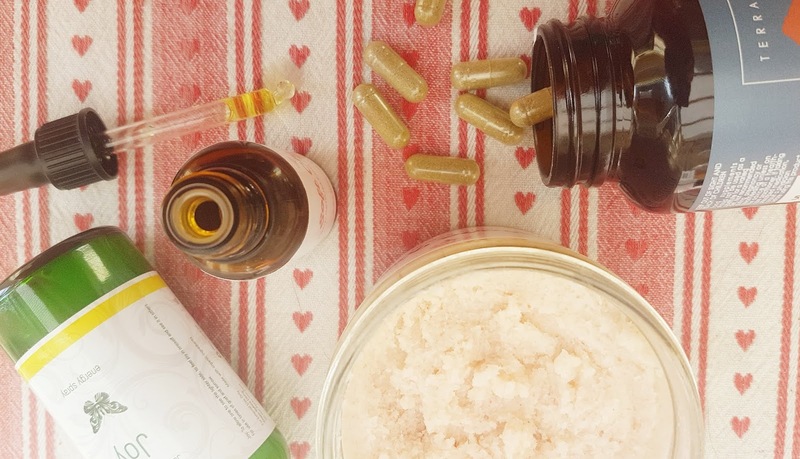 Do you have any more natural wellbeing tips that can help get through the winter slump?? I would love to know what healthy habits you've made, as this is the hardest time of year for me. I have found that since incorporating these five tactics I have definitely been happier and have had more energy than usual, plus I have been able to avoid the majority of bugs this season! No flu, no sore throats, and just the briefest encounter with the common cold. Ooh I love the look of that soft cheeks serum. I definitely feel like my skin could do with some more sunshine on it too! These are some great tips. I definitely need to add more supplements into my routine. These are really great tips. I don't take any supplements, but I defitely should! I definitely think it's acceptable for skin care and beauty routines to count as self care! I love it when I make time to use do my proper make up routine! I absolutely love your tips, most of these I am doing anyway but can't wait to grab some sunshine next week in Thailand. I have a SAD lamp (Lumie Arabica) which I use on my desk when the days are short. I find it really beneficial in helping my mood during the cold dark days of winter. I am looking for supplements and I bumped into this. Considering this one!